Do you archive your company’s records in a self storage building? You ran out of office space so it seemed like a good idea to rent a self storage unit to house your company records but compared to utilizing Shred Shop of Memphis’ Secure Record Storage it pales by comparison. Here are the reasons that you should make the switch over to Shred Shop of Memphis. Costs to store at a self-storage unit are usually based on the size of the unit being rented. What ends up happening? Your business pays for that whole space whether you fill it with boxes or leave it half empty. Imagine renting an office space but only occupying half. Your business would be throwing away money. At Shred Shop of Memphis once you reach our minimum of 75 letter/legal boxes, you only pay for the boxes you store and not a designated square footage. Switching over to us can reduce your cost on average by 30% or more. By far one of the biggest risks you take when storing your company’s vital information in a storage unit is theft. While your business may be the only one who has access to the individual unit it rents, the whole facility can be accessed. The unit that your business rents may be protected by a lock of some sort but that won’t deter thieves who are anxious to get their hands on your company’s valuable information. Shred Shop of Memphis storage facility is monitored 24/7 by our camera and alarm system. No one other than our employees have access to your files containing personal information about your clients, patients, customers, or employees. As your business thrives, your documents are only going to do one thing…GROW. The number of boxes that your company keeps is not only directly related to costs that you incur, but also the inefficiencies that result in keeping redundant, obsolete, or trivial information. There’s no need to store documents you no longer need or aren’t required to keep. When you decide that it is no longer necessary to maintain specific documents or files there is no change in chain of custody as we will shred your document on site which ensures that your company or your client’s information stays secure until it is destroyed. How long does it take and what is the real cost of retrieving a file if you store at a storage unit? That answer isn’t as simple as saying one hour’s pay for your employee. If your boxes and files haven’t been filed and indexed correctly that one hour can easily turn into several. Our affordable delivery service allows you the freedom to keep your employees working so that your business runs smoothly. Storing at a storage unit means you must organize and track the files yourself, which is time consuming and costly. At Shred Shop of Memphis we provide you with an inventory list based on the information you have written on the outside of your box. Insurance is meant to protect your business should the worst happen, but does it cover your business if your employee should get hurt retrieving boxes from a storage unit? Asking employees to drive their own vehicle to your self-storage unit creates a huge liability not only by assuming risk while they drive, but also in the physical labor required to lift the boxes. With our delivery service this risk is eliminated and you can rest easy that our driver will deliver your files when you need them. Whether you feel cramped or feel as if your business is only using half of the storage unit that it is paying for, switching to Shred Shop of Memphis makes it easy to reduce your costs, become more efficient, and provide peace of mind that your files are secure. Let us show you the savings and the true value of partnering with Shred Shop of Memphis. 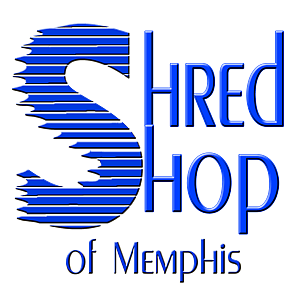 Call us @ 901-454-6111 or visit www.shredshopofmemphis.com for more information.